Chronic pain and opiate addiction have ruined countless lives and changed the landscape of medicine. 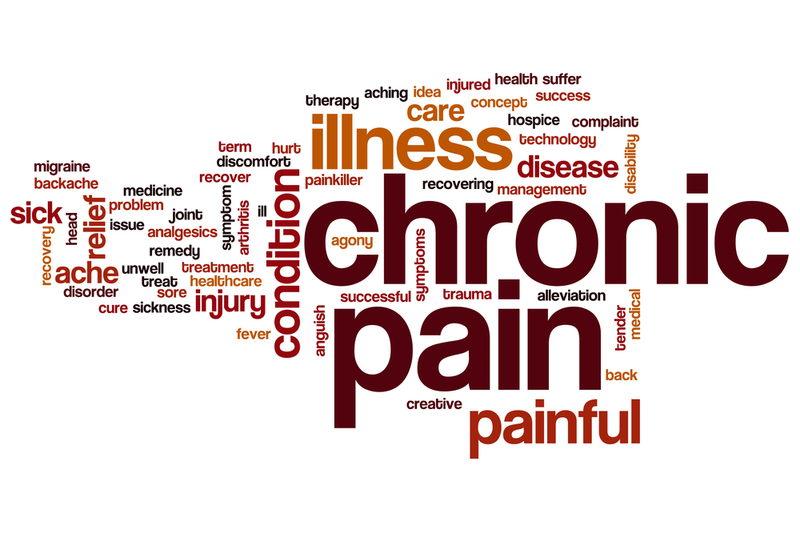 Some patients feel let down by the medical system when they are denied effective treatment for chronic pain. Others feel injured by medical providers who have started them on opiate medications that have led to addiction and ruined their lives. Healthcare providers feel frustrated that they cannot do more to safely help patients with chronic pain, guilty for providing effective short-term treatments with harmful long-term effects, and depleted of compassion for patients who need help. Luckily, there is another solution that is safe, effective, and sustainable. Plus, patients can grow their own. The vast majority of medical cannabis patients use this herbal medicine to treat chronic pain. We find that whenever we see a patient who has been using opiates to treat chronic pain, after starting medical cannabis the opiate dosage decreases by at least 50% in the first week. It’s often more like a 60-80% reduction. Many patients go on to completely discontinue opiate medications over the next several months. They often reduce or discontinue other pain medications as well, including anti-depressants and anti-seizure drugs. Scientific research tells the same story. A review article published in Life Sciences (2004) concludes, “The administration of low doses THC in conjunction with low doses of morphine seems to be an alternative regimen that reduces the need to escalate opioid dose while increasing opioid potency.” An animal study found that adding a small amount of THC increased the effectiveness of morphine by four to twelve times. And while cannabinoids, like THC, can work together with opioids to increase potency in the pain centers of the brain, there isn’t a significant effect on the brainstem, the area responsible for decreased heart rate, slower breathing, and ultimately death in the case of an opiate overdose. This means that using cannabis with opioids is safer than using opioids alone. Patients are starting to figure this out. A study published in the Harm Reduction Journal (2009) looked at 350 medical cannabis users, and found that 65% of them were using cannabis as a substitute for prescription drugs, 40% were using it as a substitute for alcohol, and 26% were using it as a substitute for illicit drugs. Three of the subjects used cannabis to help them quit smoking tobacco. The most common reasons for the substitution were less adverse side effects, better symptom management, and less withdrawal. So while we all were told that cannabis is dangerous because it is a “gateway drug,” scientists are now calling it an, “exit drug” within the framework of harm reduction. The goal is to substitute a safer drug for one that’s more dangerous in patients who are unable to achieve total abstinence. Unlike opiate medications, cannabis can remain effective at a low dose for years or decades. While opiates can numb the pain and disconnect the mind from the body, increasing risk for inappropriate activity and re-injury, cannabis often does the opposite. Patients report that after using cannabis, the pain is still there but is less intense, less bothersome, and they no longer have to dwell on it. They often feel more connected to their bodies because they no longer have to retreat from the pain. Patients feel able to reclaim their lives from the constant focus on pain. Cannabis does not have to be smoked, as many patients are using tinctures (liquid extracts) and vaporizers (smoke-free inhalation). Certified patients are able to grow their own or purchase the medicine from caregivers or dispensaries. Pain is a necessary part of life, helping us to know when to avoid danger, change, rest, or ask for help. Unfortunately, sometimes the pain continues after the threat is gone. Patients in chronic pain are often stressed-out, sleep-deprived, and hopeless. These people need our compassion, understanding, and a safe treatment. While opiate prescriptions are increasing at an alarming rate, addiction is ruining families, causing crime, and creating an immense economic burden, and medical providers feel helpless and frustrated, a safe solution might be growing in your neighbor’s back yard. Get free instant access to Dr. Sulak’s Medical Cannabis 101 video and cannabis shopping guide.